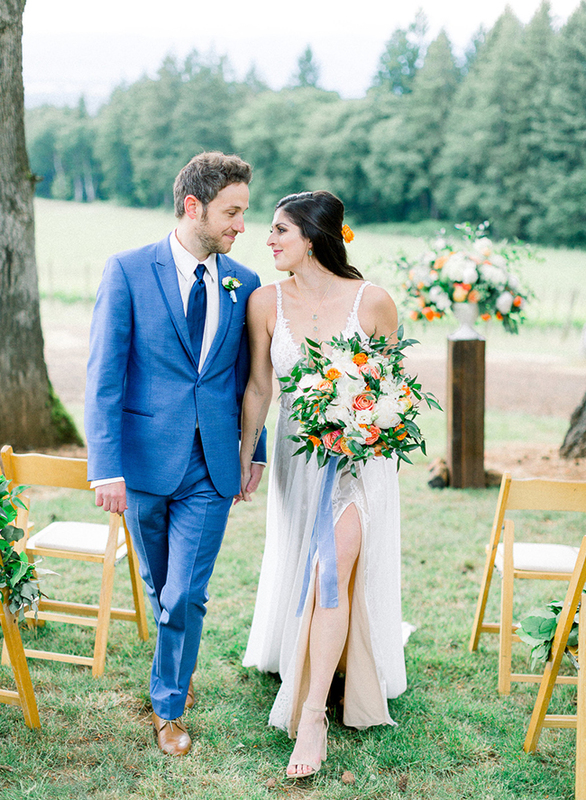 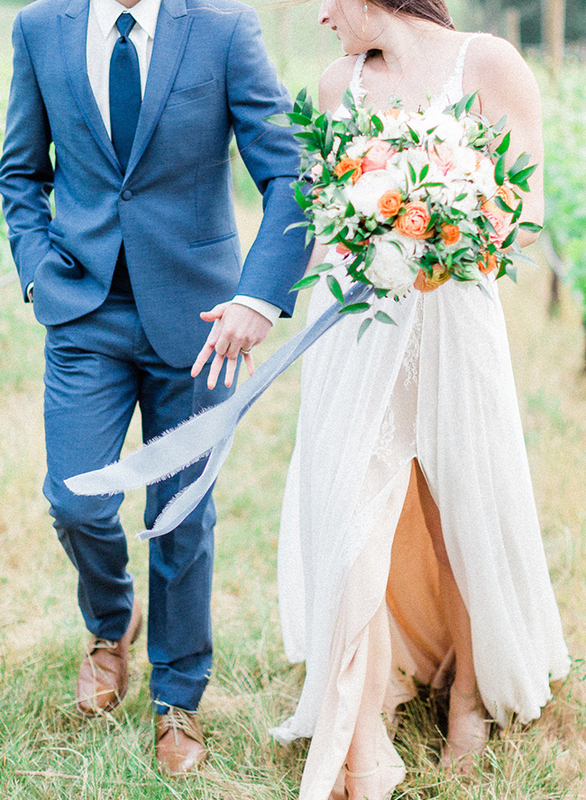 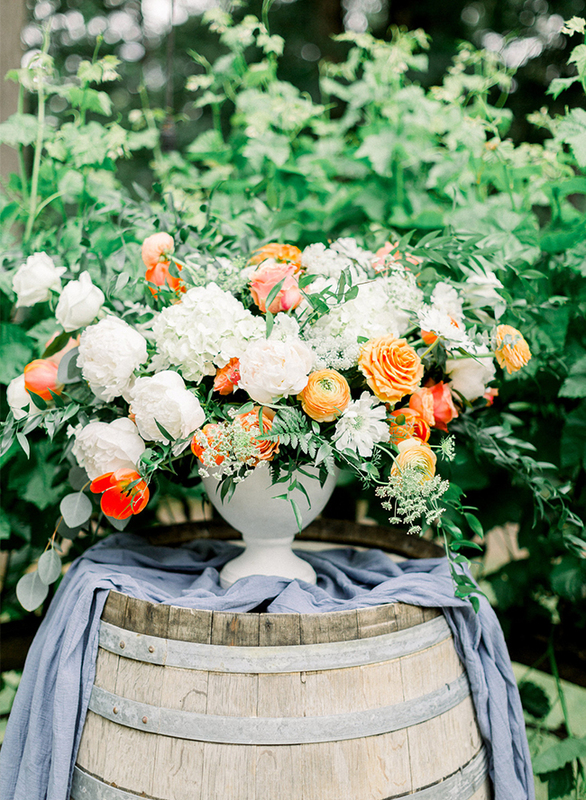 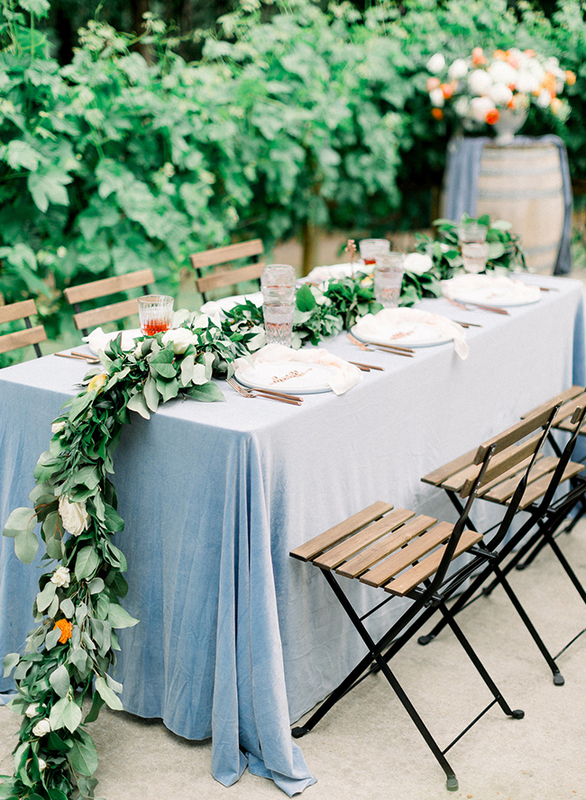 We’re dreaming of Oregon wine country thanks to this beautiful, springtime blue and orange wedding inspiration. 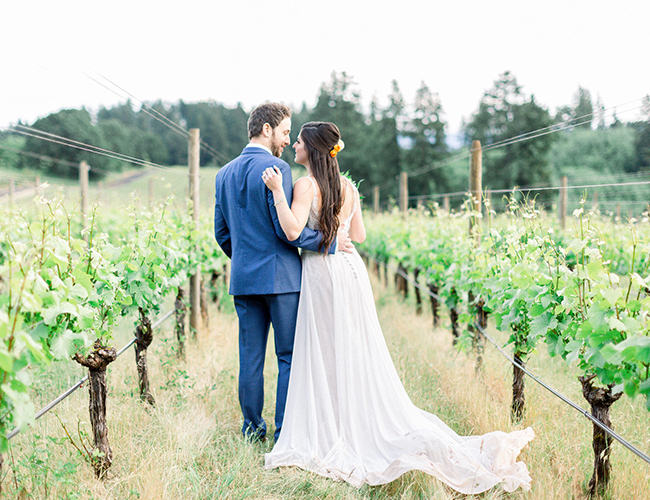 The Vista Hills Vineyard wedding is the epitome of what a vineyard wedding should be; there are rolling hills of green vines, wine barrels as pedestals for the most beautiful floral arrangements, and plenty of fresh farm-to-table food and wine, of course! 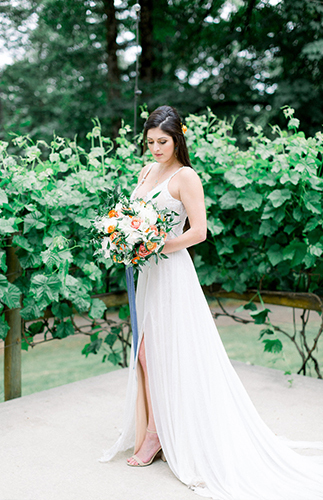 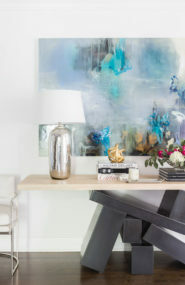 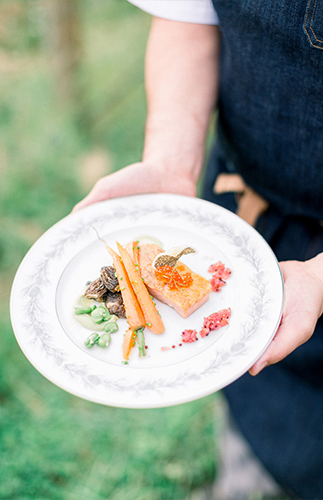 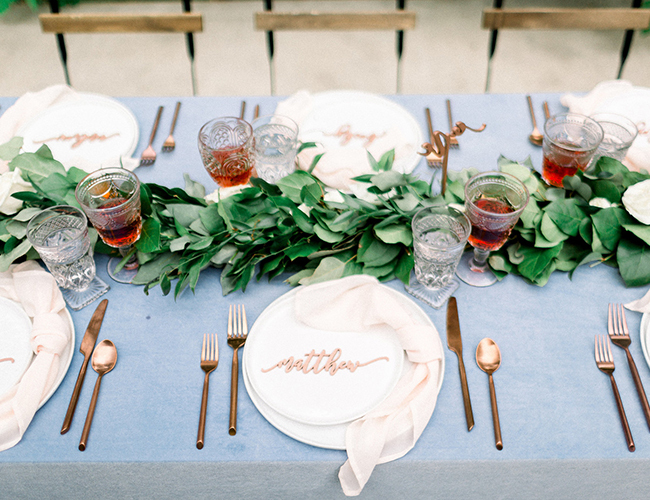 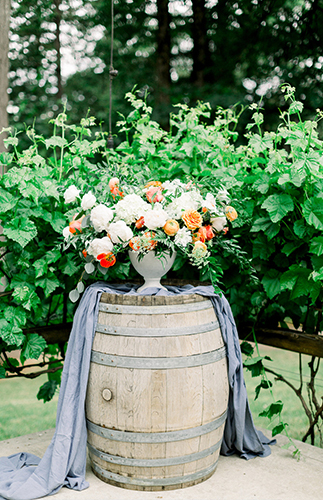 So grab a glass and scroll through this pretty shoot. 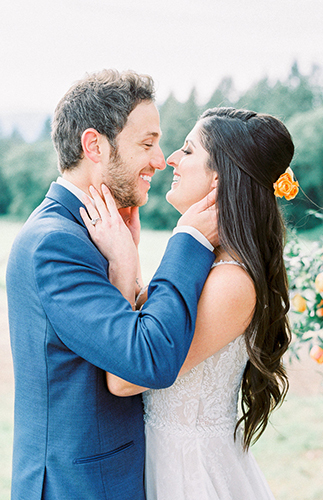 You’ll no doubt feel the warmth of the couple’s love and the intimate setting where they celebrated it. 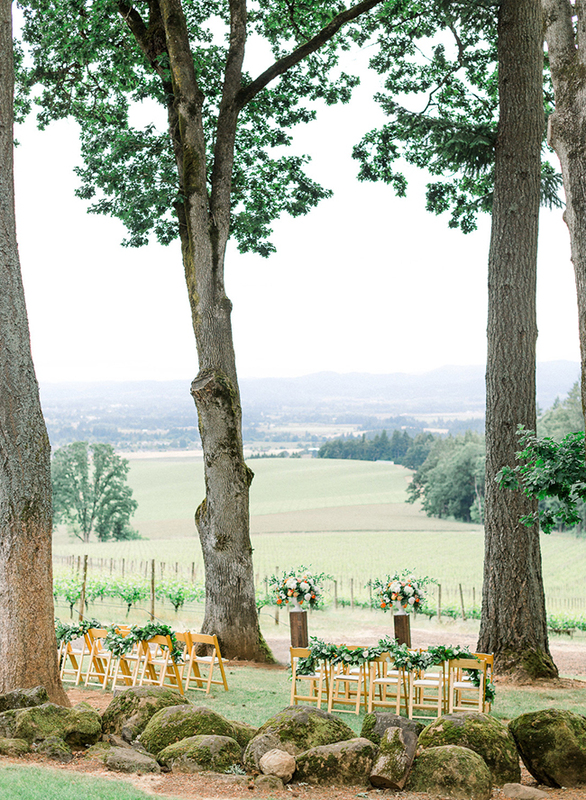 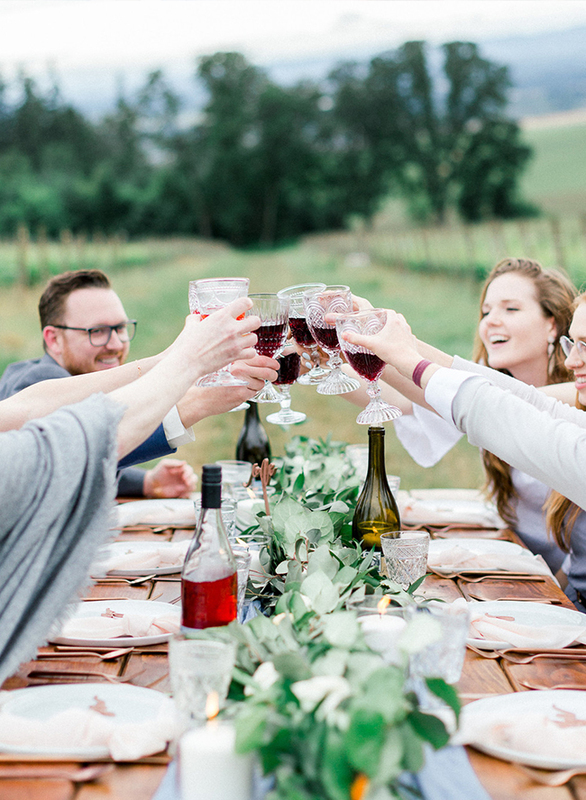 Vista Hills Vineyard in Oregon’s breathtaking wine country made the perfect backdrop for this intimate and enchanting ceremony and dinner party. 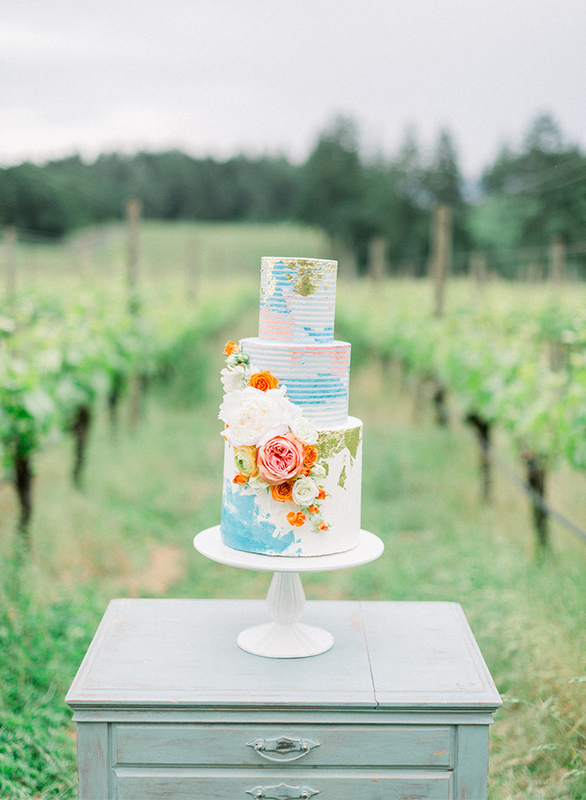 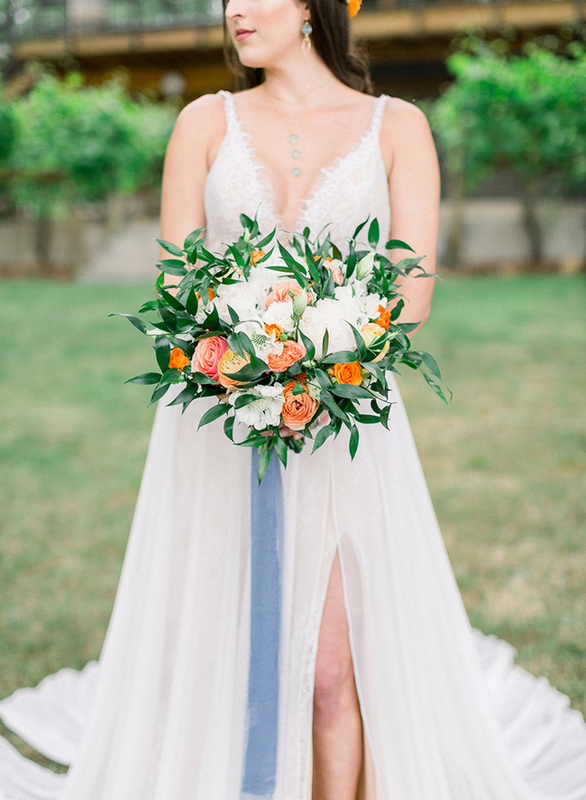 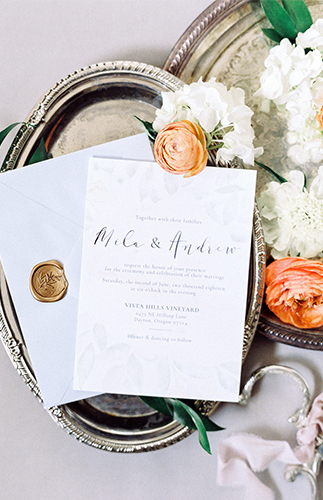 The stunning florals by Brenna Burnett with pops of oranges and white mingled with dusty blue velvet details to create a unique color palette for this vineyard setting. 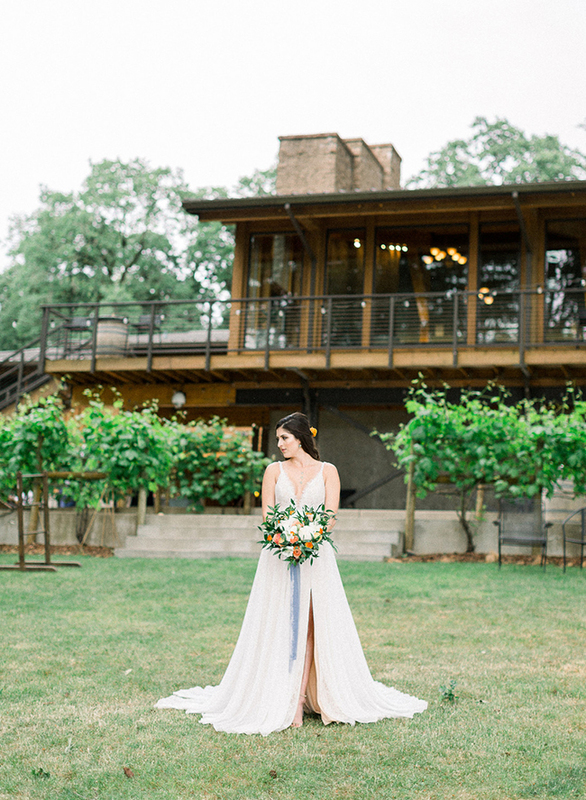 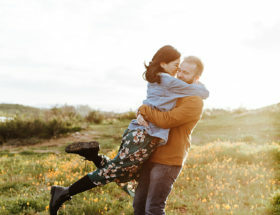 The couple themselves had been married at Vista Hills one year prior, and this was almost like a romantic anniversary for them as they re-lived the moments of their wedding day. 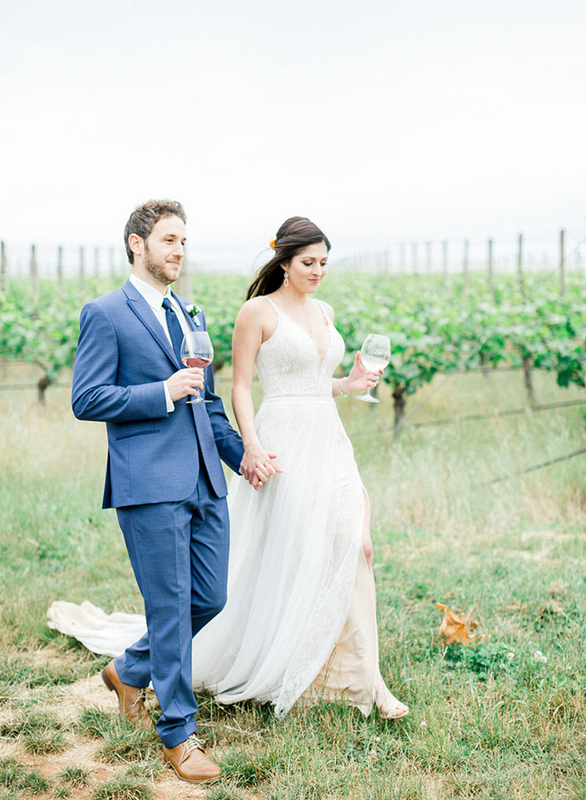 This shoot was filled to the brim with gorgeous details, wine country elements, and lots of love. 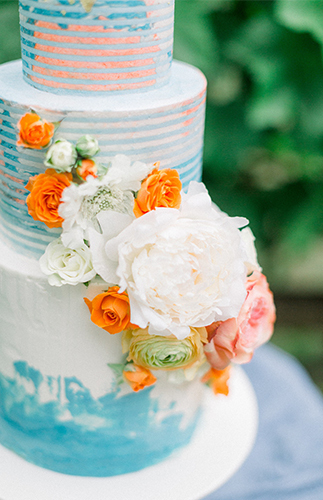 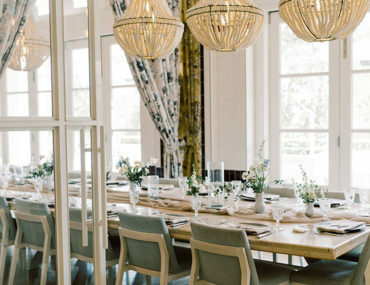 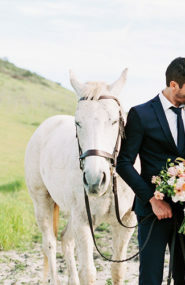 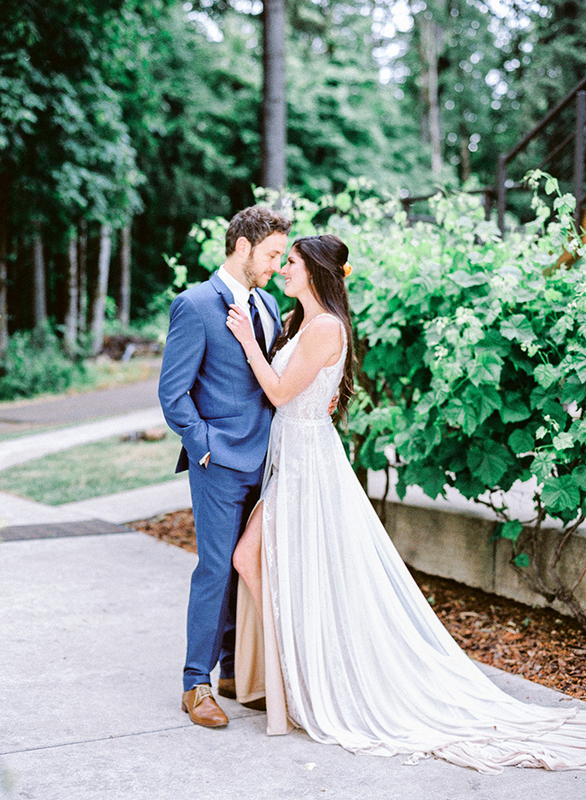 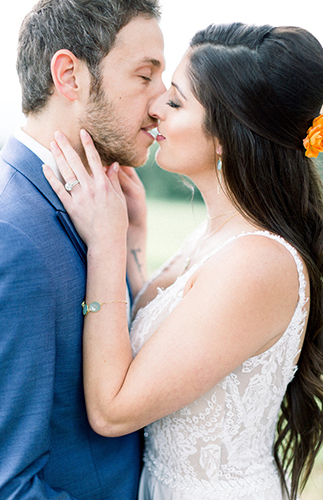 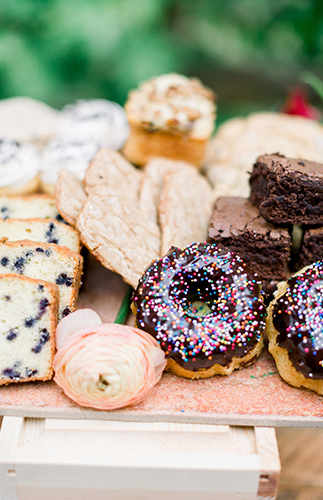 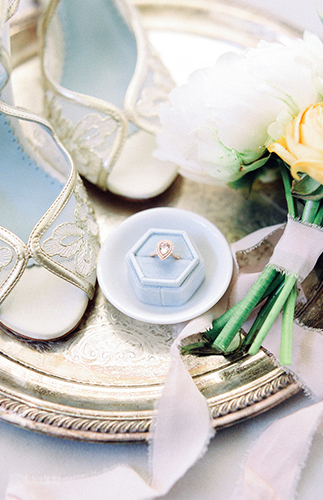 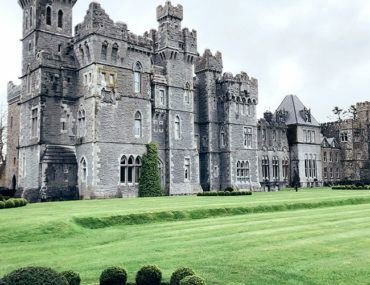 Are you as smitten with this sweet wedding inspiration as we are?! 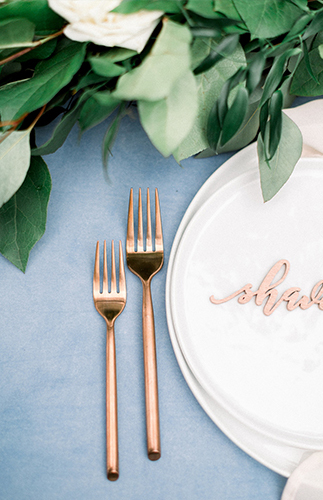 Tell us your favorite element in the comments! 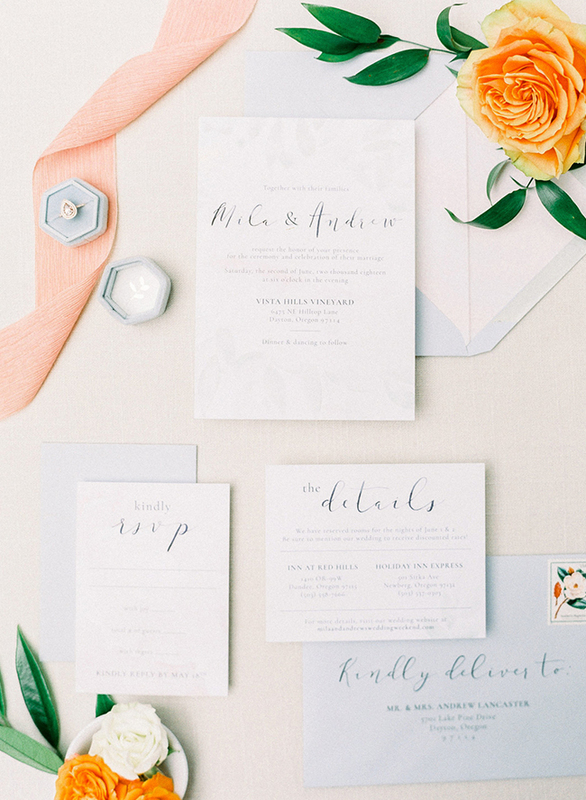 Stationery: Ten Acre Paper Co.